With housing prices only rising every year, the mortgage industry has its tasks cut out clearly. On one hand, you have the ever-fearful scenario that the real estate market has peaked, and will take a sharp decline anytime now while on the other, there is the cynical approach of prices only rising and affordable housing going straight out of the window of one of those white-picket-fence houses people usually crave for. The future of the mortgage industry is difficult to predict as lenders may continue to experience challenges related to increasing prices of homes as well as housing inventory shortages. Compliance costs will continue to trouble service providers and their operations. Most of these trends were experienced in 2017 as well. In 2018 industry experts are going to closely watch the moves of the government with respect to housing finance, deregulation, and the Consumer Financial Protection Bureau. The mortgage industry has always behaved like a perennial sharp cat lurking in the shadows staying well-informed of its prey. Those who are looking for everyday housing would be bogged down with the stress of the uncertainty of their ability to own a house, and those looking to invest will realize that the investment options will become costlier than what they were in the past. It is anticipated that the volume of purchase mortgage could increase a bit, while refinance companies will experience a dip. Home loans are dreaded by many people mainly due to the volatile nature of the interest rate. The loan cannot be planned and accounted for because if the real estate market crashes or peaks, so does the interest rate. The latest trends in the mortgage industry would also feature the decrease in home loan rates. 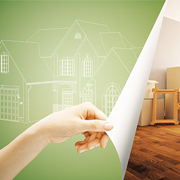 Reducing interest home loan schemes offer a fixed rate of interest to home buyers. The rate of interest will mostly remain the same irrespective of market fluctuations, allowing people to plan their expenditure and savings for the future. As the value of a home continues to rise, every homeowner gains equity. The expected behavior from any bank or financial institution of that homeowner is to start borrowing against that equity. There's expected to be a 16% rise in the number of homeowners getting a new home equity line of credit. There could be up to 1.6 million HELOC originations. On the other side, mortgage lenders will continue to invest heavily in automating the lending and loan-application processes. This is a huge step in the digitalization of the entire market. HELOCs and automation are two sides of the same coin. With the increase in the number of individuals looking for a credit line, the demand for automating the application process will become much higher. A number of banks and financial institutions are encouraging their customers to involve them in the property decision-making process. This will offer a huge advantage to home buyers. A pre-sanctioned loan allows people to set a budget before-hand, apply for a loan with the said budget, and then approach all properties within that budget. Since most loans are pre-sanctioned, real estate agents are aware of the monetary transactions that property sale involves, and the kind of risk factors that need to be addressed appropriately. This kind of collaboration between home buyers and mortgage officials before buying a property will be one of the many mortgage trends 2018 has to offer. This is a topic which the real estate sector is really struggling with, worldwide. And, this is one of the unique trends that could shape the mortgage industry in 2018. Owning a home is rarely affordable, and most first-time homeowners sometimes satisfy that dream. Although home prices do not seem to be coming down drastically, homes are being redesigned and constructed to suit all sorts of household income groups - be it the minimalistic couple starting out their lives together, the middle-class family who has reached their career goals and want to set up their home, or the well-to-do who could be investing in their second or third home. With the introduction of such a focused approach, affordable housing can be considered to be a huge aspect of the mortgage industry that will influence the operations of mortgage companies. In 2018, the outstanding mortgage debt could increase by up to 4% as compared to 3.2% in 2017. Towards the end of 2018, it is predicted that the mortgage delinquency rate will go down to 1.65%. Keeping in mind the increasing rates of interest, there will be a gradual decline in the share of refinanced mortgages to up to 28%, as compared to 35% in 2017. The Federal National Mortgage Association, also known as Fannie Mae, and the Federal Home Loan Mortgage Corporation, also known as Freddie Mac (a public government-sponsored enterprise) may launch new tech-related initiatives to help lenders enhance the experience of borrowing for home buyers. Not sure what the future of mortgage industry holds for you? Digital mortgage advances will be further boosted by technologies such as automation, artificial intelligence, and machine learning. A mortgage today no longer means having to do away with your comfortable lifestyle away at the cost of fulfilling a dream. Customers today are consulting financial advisors, friends and family members, or even researching on the Internet, following the latest mortgage trends, and are making informed decisions on how to select the right mortgage plan. You can retain your customers, as well as acquire new customers, by joining hands with the right partner. At Outsource2india, we act as a one-stop-shop for all your mortgage processing requirements. Know more about our mortgage services. Contact us for services like mortgage title support, mortgage processing support, mortgage underwriting support, mortgage closing support, mortgage post-closing support, etc.